For over 37 years Cain Motors has been satisfying customers in Ohio and other parts of the country. 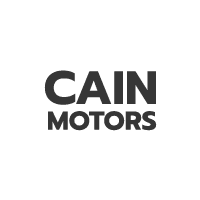 Cain Motors consists of 2 accredited dealerships. We know that you have many choices in dealerships and we realize your time is valuable. We would appreciate an opportunity to talk to you. We will listen to you and be attentive to your needs. Buying a new or used vehicle is more than a transaction to us. It’s a relationship. We want you to become part of our growing family of happy, satisfied customers. We’ll go that extra mile to make your experience at Cain Motors a pleasant one! That’s not just a promise- that’s a commitment! At Cain Motors, our philosophy is simple. If we take excellent care of our customers, they will send their families and friends to see us for their automotive needs. The entire Cain staff is committed to “Driving Beyond Your Expectations”.